Putting money away for an emergency is important, and so is investing for your retirement and other long-term goals. 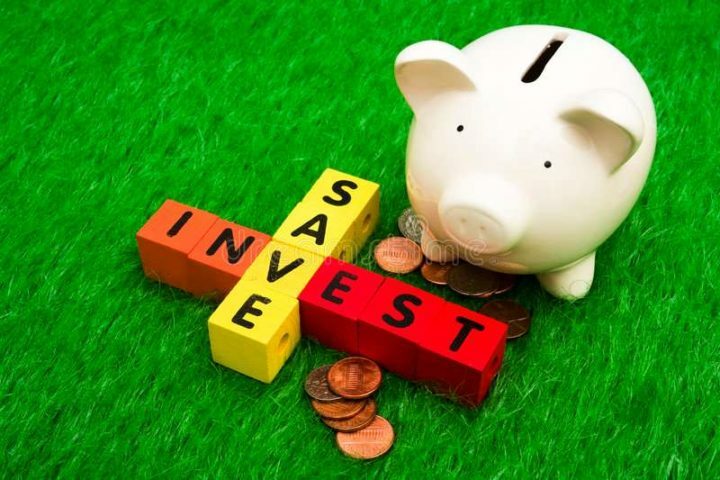 Saving and investing are both important parts of personal finance management. 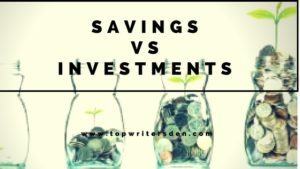 As a savvy saver, it’s important for you to understand how those savings work and the difference between saving and investing. Think of saving as putting money away in a low-risk place where you get some interest but can quickly access the cash if you need it. Investing, on the other hand, means putting funds into a riskier asset with an aim for larger returns. Follow along to learn more about the differences between investing and saving and times when you may want to put them into action. A savings account allows you to put money away in a safe place that earns a modest interest rate. Bank accounts in Nigeria and most countries are insured by the Federal Deposit Insurance Corporation (FDIC), a government entity that ensures that average investors don’t lose their money in the event their bank fails. That means a bank in Nigeria is more or less the safest place in the world for your money. In addition to keeping your money safe and keeping it away from theft, fire and the temptation to spend it, a bank pays you interest when your money is in a savings account. The big, traditional banks pay very, very low-interest rates. Online banks tend to pay the best rates. Saving is best for short-term goals and savings goals where you can’t afford to lose any of the money you contributed to the savings account. However, the low interest rates make it less desirable for longer-term goals. With savings, you are virtually guaranteed to get your money back. That’s not the case with investing. So why would you take that risk? Because you can get a lot more back in return when you invest. As of this writing, the typical savings account at big, traditional banks pay around 0.01% to 0.05%. That means you would earn up to #5 per year for every #10,000 in savings. At online banks, you can get around 2% interest. That gives you a much better return, around #200 per year per #10,000 saved. But over the long haul, investments should pay you far greater returns. For example, if you look at any long period of time since the founding of the S&P 500 index, it returned an average of 10% per year. On a #100,000 investment, that’s #10,000 per year. That is five times more than you get from the best savings accounts and 1,000 times what you get from the worst savings accounts. But that return is far from guaranteed. 2008 was a terrible year for the economy, and the stock market suffered. The S&P 500 lost 38.5% that year. On the flip side, it grew by 29.6% in 2013 (32.4% including dividends). This is why it is important to consider the stock market with a longer timeframe in mind. Putting your money in for a short period puts you at risk of losing big. That’s more like gambling. Leaving your money in for years and decades is the best investment strategy. Outside of the stock market, there are many other investment opportunities. Those range from real estate to precious metals to foreign currencies to commodities. When investing, do your best to avoid putting your money into something you don’t understand. Typically, you should see a higher return with a higher risk. Where should you save and where should you invest? Here are a few places to focus on savings. These are common scenarios, but it is far from an exhaustive list. Emergency fund — Start your savings effort with an emergency fund, if you don’t already have one. An emergency fund is there to cover unexpected expenses like a broken down car, busted furnace or surprise medical bill. You should typically save at least three to six months of expenses. If you are self-employed, double that to six to 12 months. Down payment — If you are saving to buy a home (or a car), you don’t want to risk that money in the stock market or tie it up for a long time. This is perfect for putting into a high-yield savings account. Wedding savings — Weddings cost hundreds of thousands of naira these days. If you are not yet married and plan to tie the knot in the future, you should consider saving well ahead of time. You may also want to set aside savings for a vacation, hobby or big purchase. Keep in mind that a savings account limits you to just six withdrawals per month. You can also save with other types of accounts including a money market, certificate of deposit (CD), and other bank and credit union savings account options. Retirement — Most people make their first investment through an employer-sponsored retirement account. 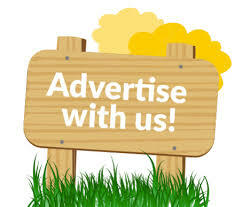 Real estate portfolio — You can earn some big profits in the world of real estate. If you manage things right, that can turn into passive income once you hire a property manager. Risks and opportunities vary by location. You can also open a regular, taxable brokerage account at any major brokerage to invest for any purpose. I have retirement accounts and standard investment accounts. Each plays an important role in my short- and long-term financial plans. Should you make saving or investing your top priority? Yes to both! You should be both saving for short-term goals and investing for long-term priorities. Each plays an important role in your financial health and success. If you don’t have any savings, that is the place to start. A savings account and an emergency fund help you escape the stresses of paycheck-to-paycheck living and avoid dipping into credit when a major expense surprises you. Now that you know the differences between saving and investing, you can open the best accounts and start saving and investing today. Even #500 per month is enough to get started. But it won’t happen unless you take action. Get on track for your financial goals today.